In July I will be travelling to Bali to work with world-renowned Gamelan ensemble ‘Gamelan Salukat’. I have composed a piece for their unique instruments and will be creating a CD quality recording of it. At the busiest crossroads of a Balinese village, you will inevitably find a huge Banyan tree. These are unkept and often grow to nearly 50 metres. They are highly sacred, and it is believed that both auspicious and malevolent spirits spend their time nearby these twisted, sprawling behemoth trees that tower over Balinese villages. This is the vision for my exciting new composition for Gamelan Salukat. I will be travelling to Bali in July to record this incredible collaboration at CD quality with Antida Studios. I hope to release the composition on streaming services, iTunes and other paid music services and a limited CD release. 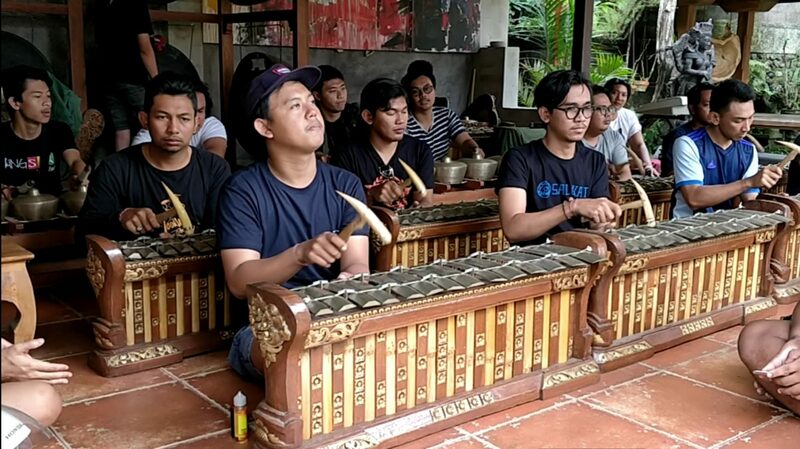 I have worked with the director of Gamelan Salukat and met with the musicians before and it is very exciting to be able to produce something with them. 1. This is the first large scale international collaboration I have ever done and it is important that it is well documented in a high quality recording. 2. It is the first saleable product I will have as a composer (e.g. CDs and online purchase/streaming). 3. This will lead to further international career opportunities both as a composer and as an ethnomusicologist. 4. It will be an extremely interesting learning experience for me on the basis of working with musicians from an oral/aural culture that could well lead to research positions in the US. AU$100 will pay for the studio maintenance fee and all important snacks for musicians during rehearsals. AU$300 will cover the truck required to transport the instruments to the recording venue. AU$300 will cover venue hire. This is still being negotiated so pricing is not yet confirmed. Antida Studios is doing me a special deal for the recording of AU$500. I have covered my own travel/accommodation costs and so all the money donated will go towards musicians and project needs. Oscar Smith is a young composer with a wide spectrum of interests. Oscar’s strong passion for music began in the St Andrew’s Cathedral Choir, where he learnt organ and singing, and still continues to sing there. 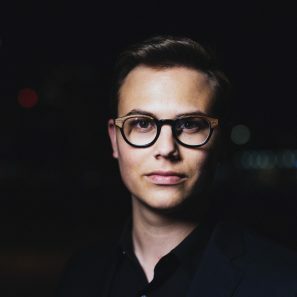 Currently studying a Bachelor of Composition at the Sydney Conservatorium, primarily under Michael Smetanin, his interests culminate in intriguing new compositions. Oscar shares a deep love for Balinese Gamelan. 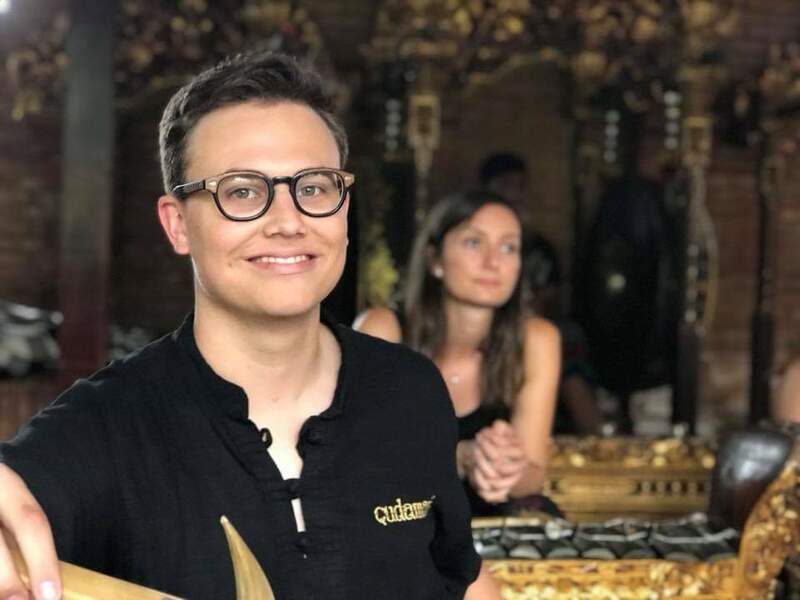 Having just returned from his 4th study trip to Bali, he has studied with many illustrious Balinese musicians, including studying karawitan (traditional instruments and repertoire) with I Putu Dewa Berata of Sanggar Çudamani, Gamelan Rindik with I Kadek Dedy Praetama, and contemporary Balinese composition with the world-renowned composer Dewa Alit of Gamelan Salukat.